← Doctor Who Challenge Day 6: Favorite Scene. So. Wow. This was a pretty darn strong week. The Gifted left us clinging to the side of a cliff, as it kicked our fingers off. And Agents of Shield is systematically putting the characters through Hell. After the emotional tumult of last week, things are quickly coming to a head. Next week is the season finale, if I recall rightly. Campbell was apparently very badly injured in the last episode, more than I thought. His entire face is bandaged, and he has one of his Hounds doing something about the injuries, such that Campbell is able to refuse surgery. Turner is just eager because he senses an opportunity. He believes the Hound program is blown and the Underground will be moving against Trask’s facility, soon. He has good instincts, but I wonder about just how certain he is of this, almost like it’s supposed to happen that way. Which, if so, then these really are some clever, conniving schemers. I mean, it’s not entirely settled yet, one way or the other, but they certainly work hard to make us suspect that it’s a setup. It might be a misdirect, or perhaps SS and Trask are pulling a double-bluff. A double insertion of Hounds, one to attract attention and incite emotion, and the other to fan the flames and direct the Underground into the trap. Esme would certainly be in a prime position for the latter. She was the one who pointed out the first Hound, Chloe. She could sense people’s thoughts and see who was influential, get close to them, as she bonded with Cait. She is the one who supposedly gleaned information from Chloe, and she’s the one who has all of it. She’s able to listen in on everything, and it’s suggested that she might be able to cause nightmares as well. She’s able to play exactly to what people are thinking and feeling. She is the one urging them on, playing to their emotions, their intense desire to save their loved ones suffering in Trask’s most highly-guarded facility. She is the one standing within and among, yet above and apart. And by the end, she is showing clear signs of strain, becoming rabid in her desire to get inside, and lead the others in as well. If she’s not secretly a Hound, then that’s quite the thorough misdirect. So, as they locate the facility in question, they also examine its defenses. They’re substantial, including power suppressors and lots of guns. But the bulk of these depend, by necessity, on a steady stream of power provided by another facility nearby. So, the plan is to send a team to infiltrate it and knock out the power, and then the team specializing in offensive capabilities will invade Trask, looking to free the prisoners and overwhelm the guards. Small detail: they don’t have the manpower for that. Small plot hole: what, in their refuge that’s packed full with fresh refugees, let alone in the entire Underground, they don’t have more than half a dozen people who can do damage with their abilities? So, they decide to ask the Struckers for help. With Blink and Dreamer beside them, and Cait and Reed watching through the absconded security cameras, Andy and Lauren accept the assignment of blowing the generators. That’s their mission: get in, blow it up, and get out. Then the real fight will begin at Trask. The Struckers have been on an unending emotional roller coaster these days, and it’s not getting any better. Cait is wishing there had never been any secrets, and with all the stress she’s been feeling, she accidentally starts looking for someone or something to blame, and that’s before they test out the connection between the kids, to see of Fenris Junior can come out to play. Speaking of, Andy stumbled onto a reference to Fenris in a text book. They were part of the Hellfire Club, they did a lot of damage, and they were only stopped by the intervention of the X-Men. That’s quite a black spot in their family history, and now to learn that they could do the same thing? Yeah, that’s a heavy burden for a couple of teenagers to bear. Fortunately, it doesn’t seem to just activate any time they happen to be holding hands. It’s like when they use their abilities, on purpose or accidentally. There needs to be something to make it happen. It almost happened once before, about a year ago, long before Andy’s powers manifested. They were on a family outing, Andy was daring Lauren to try a skate boarding trick, she nearly fell, he grabbed her, and they felt it stirring. Now they try again, on purpose. The first try, they just hold hands. The second try, they focus. And suddenly they have this overwhelming feeling of power, and focus, and oneness, and they could have ripped apart the entire building, killed everyone, without breaking a sweat. It feels good. Very good. Andy is keen on trying it again, but Lauren is afraid of it. She’s afraid because of just how good it felt. So, the Struckers have some family drama going, but they’re on board with the rescue plan. Unfortunately, it doesn’t go so well. When Thunderbird, Polaris, Eclipse, and Esme are in position (putting explosives together while they wait), the infiltration of the power facility begins. Unfortunately, Turner is right on their heels. He called in favors and he’s way out on a limb, but he has a massive strike team, complete with updated sentinel spiders, lying in wait. He is a man out for blood, and nothing will stop him. Upon detecting the mutants, his team goes in. Cait and Reed are able only to watch helplessly as the feds storm the place. Blink is the first to be captured, by a robot, screaming at her friends to keep running. She wasn’t able to portal out because she knew nothing about where she needed to take them. Dreamer is next, sacrificing herself to buy the kids a little time, just a few extra seconds. The kids are last. They can’t get out, they can’t find the way. Lauren, so afraid before, wants to use their combined power, Fenris, to get out, to escape. They almost do, but Andy pulls back. They’re in the basement, and if they bring down the building, which they would have to, they would kill countless people. Lauren missed that, in her haste to get away, and she’s horrified by it. For which, they let SS collar them like dogs. Turner finally has Campbell’s prize. And the elder Struckers can only weep as they watch it happen. The raid is a bust, the Underground just lost four of it’s best, Turner has his victory, and the Strucker kids are bound for Campbell. This episode just had so much poetry and gut-punching power to it, it was fantastic, and a fitting point to pause mid-season. The bulk of the episode is the culmination of the conflict between Penguin, Sofia, and Gordon. As Sofia is leading the sirens in an offensive, taking out some higher-level thugs and Mr. Penn, they can’t seem to find Penguin himself. Sofia reasons that he’s out building support among the gangs, which means all they need to do is take Penguin out, and it’s game over. Then she gets a phone call and simply comes when called. Only one man can do that to her: her father. Carmine Falcone returns to Gotham to bring his daughter home. Turns out, that’s where Penguin was, running to her daddy for help. Falcone simply walks in and takes his girl back, berating her for acting against his wishes, putting herself in danger, and the dishonorable things she is done, such as sleeping with Gordon, the man who killed her brother. (surprise, Barbara!) So, like a father dealing with an impudent little girl, he’s come to take her home, safe. She’s grounded. But just as they’re leaving, and Gordon comes by to discover the situation, a van drives up and shoots Falcone and his men, fatally. Sofia is only wounded, having coincidentally been standing to the side, picking a rose from the garden. She pricked herself on a thorn, and drank her own blood, before receiving a bullet to her gut. She attends her father’s funeral in a wheelchair and a neck brace. Everyone, rather stupidly, believes it was Penguin. That he took out Falcone and missed Sofia only by chance. But this did not benefit him in the slightest. As long as Falcone was alive, Sofia would be out of his hair. It makes no sense for him to kill Falcone. Everyone still assumes he did it, if only because Sofia, the only other suspect, was injured. But, as it turns out, this is not the first time she’s been wounded within one of her own schemes, to throw off suspicion. We’ll get to that in a moment. With Falcone gone, the inauguration of a new age is at hand. Gordon is made to face, at the funeral, the truth that all of this has happened because he went to Falcone for help in fighting Penguin. Everything he’s done, the people who have died, it’s all on him, even if only indirectly. So, as Bullock says, he better finish what he started. He does this by taking Sofia into custody even during her father’s funeral, protecting her from Penguin’s men. When Penguin storms in, demanding he turn her over, and promising any enterprising officer money in exchange for her, he is met with a united opposition. It’s a stark contrast against the past, where Zasz once walked in to claim Gordon’s life, and every single officer filed out. Now Gordon stands as their leader, the law which opposes the king of the criminal underworld, and the officers of the GCPD all stand with him. Penguin leaves empty-handed, and a redeemed police force suits up and wages war. Gordon leads from the front as the knights of Gotham charge the enemy, overturning an empire practically overnight. His plan: back Penguin into a corner so he does something that they can absolutely nail him for. Sofia already has something in mind: the murder of Martine in last week’s episode. Penguin laughs at that, as the boy is perfectly alive and well. All he needs is Zasz’s word to back him up. But Zasz betrays him. Zasz has seen Sofia’s strength, and doesn’t believe Penguin’s protestations of his innocence. He was Falcone’s man for a long time, and now he chooses to be Sofia’s. The regime changes that easily, and a furious Penguin is locked up in Arkham for the one murder he did not commit. That leaves Gordon with only Sofia to contend with. He goes to her, trying one last time to prevent her from a course of action which, as he sees it, will result in him taking her down as surely as any other criminal. Sofia was behind the Pyg! I did not see that coming, but it fits! The missing piece of the puzzle! Lazlo Valentin was just a psychopath and a contract killer, like Zasz. She hired him, gave him creative freedom, his purpose being to destabilize the situation so she could make Gordon captain. That’s why he restructured his face before entering Gotham, because he wasn’t trying to boast the way other serial killers do, he was trying to hide, and then Sofia hired him. And that is why he told Gordon he couldn’t give up yet, because Pyg was just performing a part in Sofia’s plan, right down to impaling her hand with a fork, and shooting her in the gut to deflect suspicion for her father’s murder. But now the Pyg’s part is done, and he’s a witness, so she kills him while he’s gloating and threatening Gordon. And now it’s just her (not really needing that wheelchair and neck brace) and Gordon. It’s a moment of truth, and Sofia has a very harsh truth for Gordon to face: there is a direct line, through her, between Gordon’s inability to stomach the Pax Penguina (not that he should have) and the deaths of all the officers, criminals, and vagrants which Pyg murdered. If Gordon arrests her, she talks. The GCPD he just finally saw restored will crumble, the next criminal king will rise without either Penguin or Sofia to stop them, and Gordon will lose the city forever. Everyone who died, how he stabbed Bullock in the back in taking the captaincy, it will all be for nothing. This is her game, and she’s calling checkmate. She’ll get everything she wants: power over Gotham’s underworld, with a man she can control at the head of the GCPD. This is her revenge. I knew that forgiveness she offered earlier came to easily, but this is so much worse than anything I could have conceived. Sofia is even better than I ever imagined. She manipulated everyone, orchestrated events on a grand scale, removed her enemies with Gordon as her cat’s paw, usurped her family name, murdered her father, all to put herself in a position where she would be unassailable, and take her revenge on Gordon for her brother’s death, by collaring him and robbing him of his honor. And she makes certain he must make his decision immediately, when she is strongest and he is weakest. And so he chooses: he takes credit for Pyg’s death, and chooses to continue leading the GCPD, which is now, at last, redeemed… all except for their captain. Funny thing about life. Games, battles, wars may end, but time keeps flowing, and anything can happen, any old conflict may be renewed, any victor overturned. Elsewhere, the sirens, who had to do some creative escaping in the middle of a firefight, are settling down now that the crisis is over. Barbara is happy to have her club back, while Tabitha goes after Grundy. She tries to help him remember his past, by tying him up and beating him in he head over and over. It doesn’t go well, and she eventually has to give up. But after she’s gone, Butch comes to, looking at his reflection and wondering what’s happened to him. Nygma is also being tormented by the Riddler in his head. He’s screaming at (and breaking) the mirror, that he’s in control, though that control is obviously slipping. He’s doing it, especially, because somewhere along the way, he’s fallen for Lee. Which, there is not a good track record for the women he falls in love with. He killed the first and Penguin killed the second. Lee may not return his feelings, likely, but it’s not a good thing to be number three, especially when your presence seems to be all that’s holding the Riddler’s return at bay. Finally, Bruce is drowning himself in sin, cutting himself off from the people who love him. It’s classic self-destructive behavior. He’s trying to bury and forget the pain, he’s trying to undo himself, he talks about how great a time he’s having while actually being miserable. When Alfred calls him on it, he gets into a fight with the man and takes a blow to the face, as a ploy. Then he visits his lawyer to have emancipation papers drawn up, fires Alfred, and warns him that if he doesn’t leave, then Bruce will only need to go to the police and show them the fresh bruise on his face. So now he is alone in his misery, spiraling ever farther downward, running away from his agony instead of facing it head-on. So, Falcone is dead, Sofia has Gotham and Gordon under her thumb, Bruce is on the darkest path he will ever know, Alfred is gone, the Sirens are back in power near Sofia’s throne, which Zasz is now serving, the Riddler is rising, Grundy is Butch again, Bullock has quit, Gordon has lost himself in his victory… oh, and Penguin’s neighbor in Arkham is Jerome, the future Joker. …they really do not pull their punches on this show, do they? So, last episode, we learned that the world was destroyed, the Kree took over what was left, and the last of humanity is barely surviving brutal, harsh conditions in a base called the Lighthouse, and Daisy was blamed for it. If it’s not yet bad enough – and of course it’s not – to be thrown into the frying pan, they keep turning up the flame beneath it. Tess is looking after most of the agents, with exception to Daisy, who has no metric, and Simmons, who is Kasius’ newest servitor. May is keeping close to Tess, working the Trawler, while Yo-Yo, Mack, and Coulson are stuck working for Grill, who is a demanding taskmaster, cutthroat and wily. His number two is cut from the same cloth, but more physically brutal. The man zaps Yo-Yo with that metric control device, and Mack responds by taking a big pipe and storming the office, only to be locked against the threshold. But, that was just a ruse to do some recon, and he got a good look at the office. The recon inspires Coulson as he’s examining Vergil’s notes. He used numbers to refer to locations, and there’s one that keeps popping up, outside, where you need the Trawler to get to. Tess agrees to help them go there, following Vergil’s trail (she kicks a kid named Flint out of the Trawler, I’m guessing we’ll see him again), and Grill hands her an excuse by demanding a double load, so she needs some extra hands. But that’s a ploy on Grill’s part. He’s certain that Vergil was skimming, stealing from him, and now he’s suspicious of these new arrivals, so he sends them out, along with his number two, hoping for proof. That puts a wrinkle in the plan, but the agents manage. While en route, Tess mentions how Vergil always brought this mini-globe with him, saying it was so he could see what Earth was, and what it would look like once it was fixed. Coulson figures out the secret, that the globe has something in it. Lo and behold, there is a key hidden inside the Earth. (poetic) it unlocks a compartment, where he kept a radio. He was talking to someone, way out here. Unfortunately, Grill’s number two comes up at exactly the wrong moment, makes assumptions, and restrains everyone in sight. With everyone else secure, May turns the Trawler hard into a rock, slamming their foe against the wall, so he drops the control. Tess and Coulson do well for themselves, considering they can’t actually move, but the control’s just out of reach. But Mack was not restrained, so he steps on it before their overseer can reclaim it, punches the man out, and locks him in the hold. Tess wants to stage an “accident” at that point, because now it’s either them or him. The agents refuse, because they aren’t a part of this dog-eat-dog culture. Tess is. She knows it’s one way or the other, someone is going to die for this. True to her word, when they return to the Lighthouse, after double timing it because their prisoner cut the fuel line (hey, he expects them to kill him, so why not take them down with him? ), they’re all restrained, Grill ready to kill them. Fortunately, Yo-Yo makes the call herself, and plants a gun on Grill’s man, framing him, saving her comrades… and condemning the man to the Kree’s punishment: death by exile to the surface, where nothing but roaches survives. It wasn’t all for naught, at least. The agents discovered a transmission, faint and difficult to understand. Whoever is on the other end is asking Vergil if he’s “secured the delegation.” That’s them, the agents. They’re unable to talk back for the moment, as the radio was damaged, but whoever they’ll end up talking to, they have answers. Up top, Simmons is unable to listen in on almost everything she’s witnessing, but she sees much. Kasius has a guest, Lady Basha, who he is apparently eager to please. As in, he seems almost afraid of failing to do so, which is disconcerting, but last episode did establish that he does not think of things in the same way that normal humans do, so exactly what he feared was unclear. Basha, who apparently comes from a race that resembles humans with red eyes, is clearly superior to him in some manner. Kasius may wield great and terrible power over the humans, but it seems he’s just a relatively minor figure in some backwater outpost where he has to scrape a living, and opportunity, out of the rocks of a ruined Earth. One of these opportunities comes in the form of the Inhumans. Every human goes through the terrigen mists when they turn eighteen. If they become Inhuman, they’re taken by Kasius, implanted with a control device that suppresses their abilities, and promised that if they can perform at a “ritual,” their families will be rewarded as they get to leave Earth as ambassadors and travel the stars. The reality is, they’re taken and turned into livestock. They’re slaves, specifically gladiators. Simmons finds this out when Kasius’ jealous female underling suggests having her take a look at their latest Inhuman, who is supposed to perform in front of Basha shortly. She’s having trouble controlling her powers, which involve the ability to manipulate her molecular density, either passing through what is solid or becoming unbreakable. Simmons is able to help her with her scientific knowledge, giving the girl an image to think of, a means to center herself, so she’s able to command her abilities. It’s a remarkable feat in such a short time, but it’s warped by the truth of the situation. For the “ritual,” Basha brought a killer to test the Inhuman girl against. The brute dominates the fight, and is about to be killed when she’s able to center herself. She wins, easily, killing the man, his very body exploding around her hand, leaving her to look in horror at her bloodstained arm. Basha is very pleased with this, and purchases the girl for a high price. That’s all Kasius was concerned with: the price he could get for her. The girl is taken by her new master, who can suppress her abilities at will in order to keep her in line, likely to do more killing. So much more. She was promised a world of wonder, and is given one of horror instead. And when Simmons protests, she is silenced again. Finally, there’s Daisy. She is determined to rescue Simmons, thought Deek warns her against it. He sees her as the Destroyer of Worlds, which she most certainly isn’t, so he’s not keen on helping her, but he’s also not keen on opposing her. He tries to convince her to play the long game. Instead of storming upstairs and doing all sorts of damage that will just blow back on all the remaining humans below, he promises that he can help her get up there without having to fight her way up. She could get an invitation from the boss man himself, if she listens to him. Daisy and the rest of the agents are accustomed to doing things their way, and having to do things a different way… well, it’s not easy to change so much, so fast. It’s good to resist, to stand for what’s right, but they’re not being particularly prudent about it. That’s how you get yourself killed. So, Daisy storms up, using the tablet that Yo-Yo steals again, by tricking Grill into taking her metric off for adjustments. Daisy walks through the greenhouse, trying to quietly stow a ride up with some moving produce, but she’s spotted and has to fight her way up instead. She does very well, going straight through the Kree guards, but then the way shuts in front of and behind her, and gas flows in to knock her out. She’s conscious long enough to see Kasius marvel at her power, and her presence so long after Earth’s destruction, while Deek assures him that the only thing that matters is that he has her now. Daisy is very angry, promising to kill him, to which Deek responds that he’s just playing the long game. Which, I believe him. It may not be good for Daisy, but he’s protecting what little of humanity is left. Everyone, from Tess, to Grill, to Deek, has simply grown up having to choose who lives and who dies. It’s made them all cutthroat and quick to stab in the back. So, we’ve now caught up to the last scene from last season, where Coulson was “admiring the view and getting back to work.” Turns out, he’s out in the Trawler with the others, trying to establish contact with their unknown allies. Simmons and Daisy have both been taken by Kasius at this point, but the team is working hard with what they got, and the transmission they receive is from Earth. I’m just wondering if it’s from the past as well. 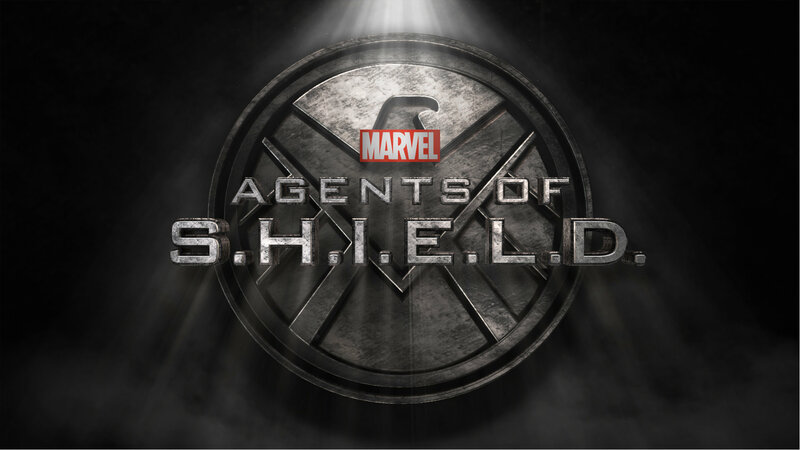 This entry was posted in This Week on TV and tagged Agents of Shield, Gotham, The Gifted. Bookmark the permalink.